According to Google, the average time it takes to fully load the average mobile landing page is 22 seconds, and 53% of people will leave a mobile page if it takes longer than 3 seconds to load. So, optimising landing pages is imperative if you’re advertising your site on Google and are paying for each visitor that clicks through. Landing Page Experience is one of three keyword Quality Score factors; the other two are expected click through rate (CTR) and Ad Relevance. One of the main causes of high bounce rates is that the landing page doesn’t provide what the ad text promises. This is a frustration for many advertisers and is especially a problem on mobile devices where people have less tolerance. So, make sure your page delivers on your ad promise. And this should be available above-the-fold as soon as the visitor lands on the page. Don’t make them scroll down to get what they want – and worse, don’t let them have to click through to another page to access the offer. In fact, Google often disapproves ads that don’t deliver the promise on the landing page. When someone searches for a product like women’s designer t-shirt don’t send them to a general clothing page. Instead, send them to a page that shows different women designer t-shirts. This will help to increase engagement and reduce bounce rates. And that will in turn lead to more conversions. You don’t want people having to search your website again because they have landed on a page that is not relevant. In most cases they will just leave. Sometimes you need to be general. For example, if someone is looking for digital cameras, it’s probably best not to send them to the specific landing page of a digital camera. However, if you stock only one brand of digital cameras, then you should have keywords directly relevant to that brand. Because if you bid on general keywords, you’ll target a wide range of people that are not relevant. Provide useful information about whatever you’re advertising on your landing page. Your landing page should deliver on the promise you made in the ad. If you have promised a discount and if it’s not available on the landing page, then that could cause frustration and loss of trust. It could also lead to a bounce rate which is common on mobile devices where people have less time and ability to search for the offer. Make sure users on your website feel comfortable sharing their information with you. So, display all relevant contacts that makes it easy for them to contact you. This should be visible on all pages. And include details like shipping and delivery rates and time leads. Don’t let your visitors try to guess this and also save time by not getting questions related to this. It should all be visible on your website. If you accept payments online or in store, make it a point that you highlight this. It will increase conversions and also your credibility. Don’t make it difficult for visitors to do what they need to do on your website. Don’t make them jump through hoops to get to your valuable content and complete purchases on your website. Make sure you explain your products and services to visitors before nagging them to fill in forms. They want to know what they are getting and if your landing pages are thin on content, they’re less likely to convert. Additionally, make it easy for them to contact. On every page of your site and landing pages, you should have a form, contact number or other response mechanism. In most cases a form is better than giving out an email address because it’s quicker and easier to fill the form – especially on a mobile device. If you make it a point to request personal information from visitors, make it clear what it’s for and what you’ll use it for. Ideally, try to collect the minimum info you need to be able to serve your visitors effectively. 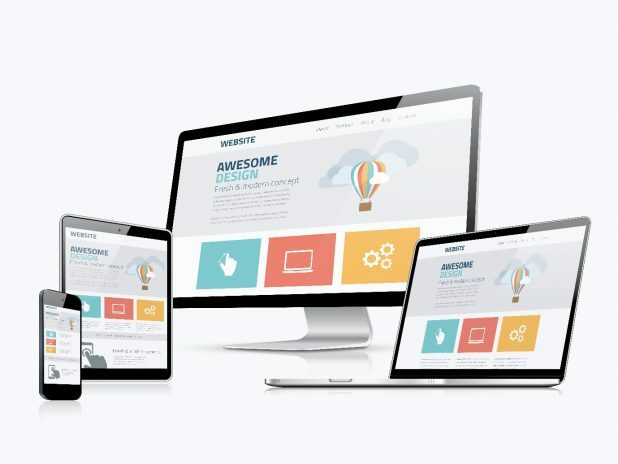 Organise the design of your website and landing pages well, so visitors don’t have to hunt around for information. A fast loading website or landing page makes for a great user experience. Make sure your landing page loads quickly once someone clicks on your ad, whether on a desktop or mobile device. And consider turning your landing page into an Accelerated Mobile Page (AMP). Make your site fast and use Google’s Test your site tool to see how your website scores on mobile speed and get quick fixes to improve it.